Vehicles, Equipment, Property Improvements, Debt Consolidation, Refinancing. Term loans provide a great opportunity for financing longer term capital investments and durable expenditures. Contact a commercial lender at 989-362-6700 for more information. Certain restrictions apply. Credit subject to approval. A business line of credit is a great way to borrow cash for short-term business needs including paying bills while waiting to collect receivables, purchasing inventory or covering seasonal expenses. Commercial real estate mortgages allow you to purchase, build, expand, and remodel. In some cases, you may have the opportunity to withdraw equity for one-time or ongoing expenses. The U.S. Small Business Administration (SBA) is a government agency that works with banks to help Americans start, build and grow businesses. As a SBA Preferred Lender, Huron Community Bank has the authority to approve loans on behalf of the SBA allowing for faster turnaround and quicker approvals. We offer a variety of SBA loans to allow us to find the one that fits your needs. Used for a wide variety of business purposes including business start-up, purchase or expansion, working capital, equipment, inventory, debt refinance, building construction or renovation. Provides long-term, fixed-rate financing for major fixed assets, such as land and building, purchase or expansion. 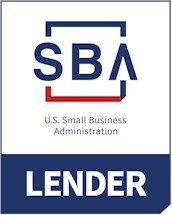 Approved to offer SBA loan products under SBAs Preferred Lender Program, and SBA Express Lender Program. Certain restrictions apply. Credit subject to approval. All credit applications subject to SBA program parameters.